The Hindu Council was the 1st in Australia to launch the “Meat-free Day” campaign on 2nd Oct. 2008 to reduce Greenhouse gas emission. We took this campaign to ARRCC (Australian Religious Response to Climate Change) and renamed it “Eat Less Meat” to appeal to people of multi-faith who are mostly meat-eaters. Lot has happened in last ten years. 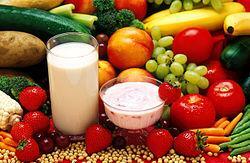 There is much more awareness among people of eating plant-based diet. There is lot more coverage in the main media. To celebrate the tenth anniversary of this launch Mr Vijai Singhal was interviewed at the Darpan Hindi Radio program at 98.5 FM 10-11 am this Sunday, 30 September 2018.